Win your game and play against another 1-0 person. Lose and you play against another 0-1. After 5 rounds, players seeded 17-32 will play a single game elimination game. Winners make it to the best of 3 bracket play as a play-in round vs 9-16. 1-8 get a bye. Bracket play - 24 seeds from group play. Seeds are based on record, then GF - GA.
No coin flip needed if two people play against each other again, just reverse previous winner/loser choice. Love the 100% CRT factor man, keeping the dream alive! Awesome stuff bud! Should be a fun time! I am looking at tickets now! Agreed! We will cap registration at 31 until I hear from Coach either way! I really would love to make this. Probably about 60-40 yes right now. I will have a decision by early next week! Looks awesome Great Job organizing this! A little less than a week into our announcement and we have 21 registered/verbal commitments so far. 11 spots remaining assuming nobody bails (I am sure someone will). We still have over two months to promote, so I am hopeful that we will find 11 more buds to play by April. 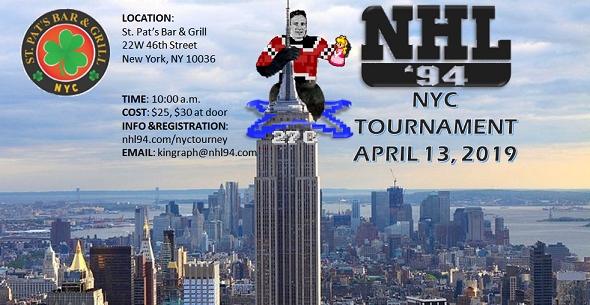 I suggest if you or your friends are thinking about coming to NYC to play but unsure if you can, register now. If we get to 32, you'll be notified to pay or release your spot to the next registered player. He's not 100%, but he signed up to be notified when 32 players are in and he has to confirm then. Big time player @kylewat, aka Zeppelin55, has officially registered. Don't be surprised to see him near the finals, he has the chops to beat anyone. also really interested to see how the progressive play works out! 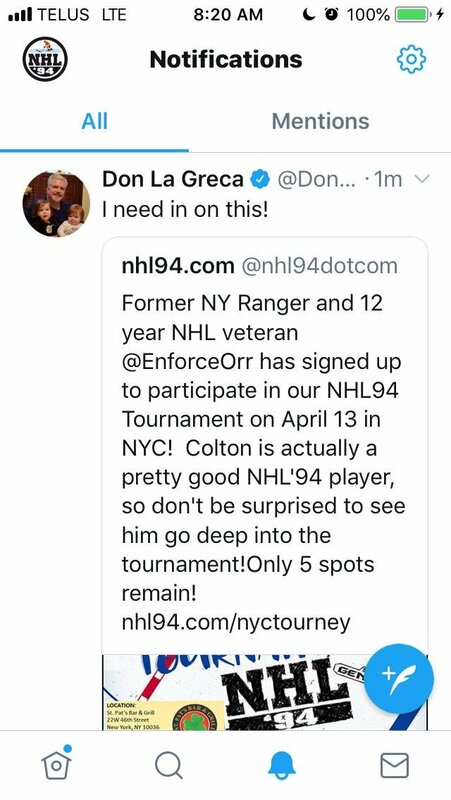 Don La Greca has showed interest in attending this morning. 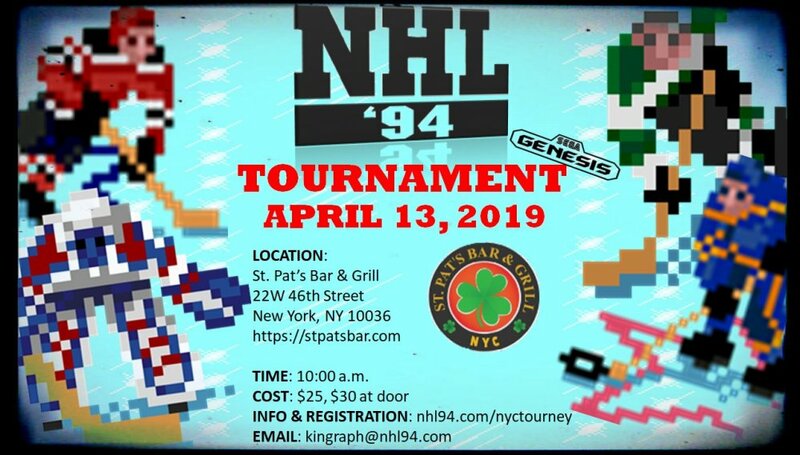 In addition to being a local NY radio and TV host for NY teams (check out his wiki in the link), he is the ESPN office NHL'94 champion! We are holding his spot for #32. Those who registered, but haven't paid will be notified soon, but we are close to being capped and starting a waitlist. That's really great that you got a well-known and recent NHLer to embrace the tourney. Do you think he will also be at KO94 in NYC? He went to the LI tournament and is going to this one, so I'd give this a good shot! I was telling @kingraph that I might swing by and hang with y'all on the day of the event. I live in Central Jersey and usually make it up to the city once or twice a month. I told him that I'll likely not compete as my skills are a bit rusty and there are a lot of '94 legends playing. Plus, I still need to check if I indeed can swing by that day. If so, I may have my wife with me as I promised her a NYC date once the weather got better. But, she's mad cool and loves hockey. Sadly, I may have to (finally) take her to Del Friscos NYC as she is dying to go. There goes a ton of money - lol. So, anywho, we may just hang for some drinks, introductions and watch you each battle it out for a bit. It will be fun to watch (and perhaps, scout) the guys playing this game that we love. Plus, it would be cool to put some names/faces together. If I can make it out there, I will let everyone know via this thread. If so, I look forward to meeting you! Awesome, hope you can make it! We'll try to get a station set up with an Mega Everdrive to show off your ROMs if we can! If you do end up making the trip and going to Del Friscos, I would kindly suggest that you try the Pineapple Infused Vodka Martini. It's one of the more memorable drinks I've ever had in my life. I tried to replicate it, but didn't quite get it right (wasted a bottle of vodka too, ) . I am crying happy tears as @Lupz27 and @IceStorm70 are fully registered to play! 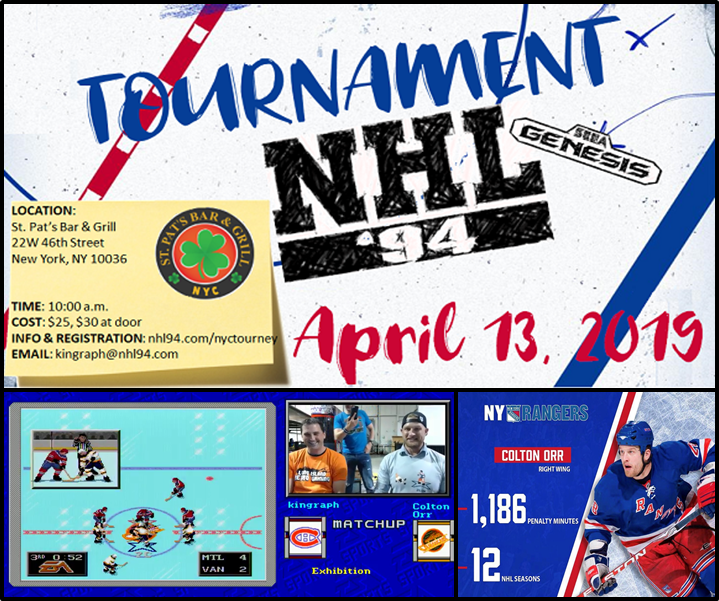 This means in addition to some very high level '94 play, there will be lots of 2v2 after the tournament! Also, recent Classic participants @aepurniet and @kuefner have also registered! Looking forward to meeting you fine gentlemen (unless we've met before, in which I am dumb). 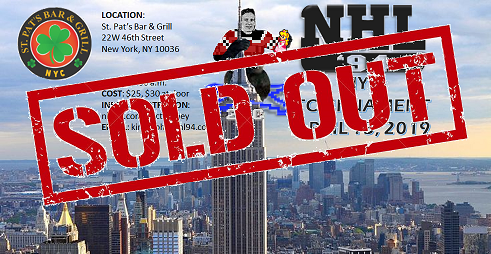 As of this post we have reached our cap of 32, though we are holding a few spots for some special guests. People can still register for the waitlist or to just keep up on the tournament details via e-mail. Anyone can attend to be part of the crowd. Very excited about this event and we (all the organizers) are working hard to make sure it's gonna be great. Stay tuned! 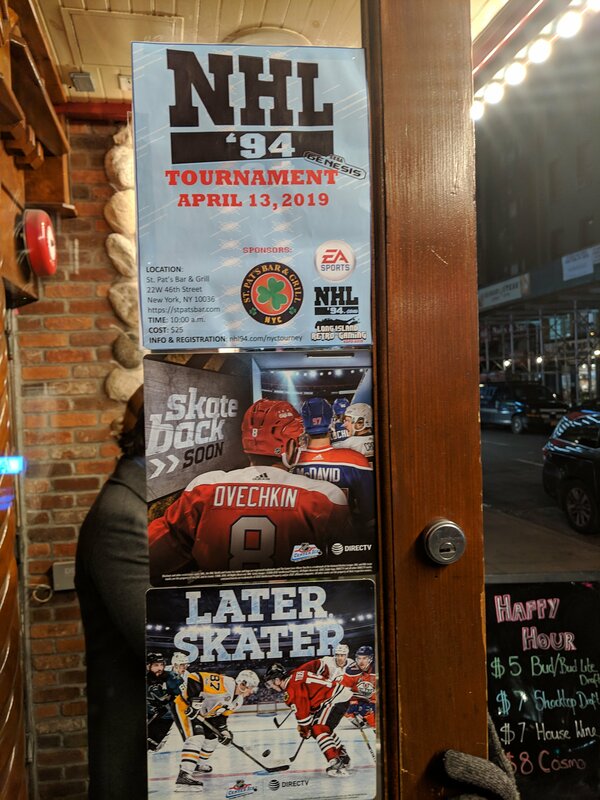 Maybe we'll have a meet up one night for some exhibition games! Keep an eye out. Will e-mail and post here if so! Our good buds at the Long Island Retro Gaming Expo have donated two admission tickets that we will raffle off during the event. Awesome! Side note, we also host a tournament there for the last 3 years. 2019 will be our 4th year in a row, more to come on that later. Flyer is up at the bar door! Good deal @kingraph, but it needs more zamboni!